Brush on a generous slathering of Kosmo's Q Rib Glaze and let the Sweet Heat take over, melting over your rib creation with that sweet sticky accent of goodness. 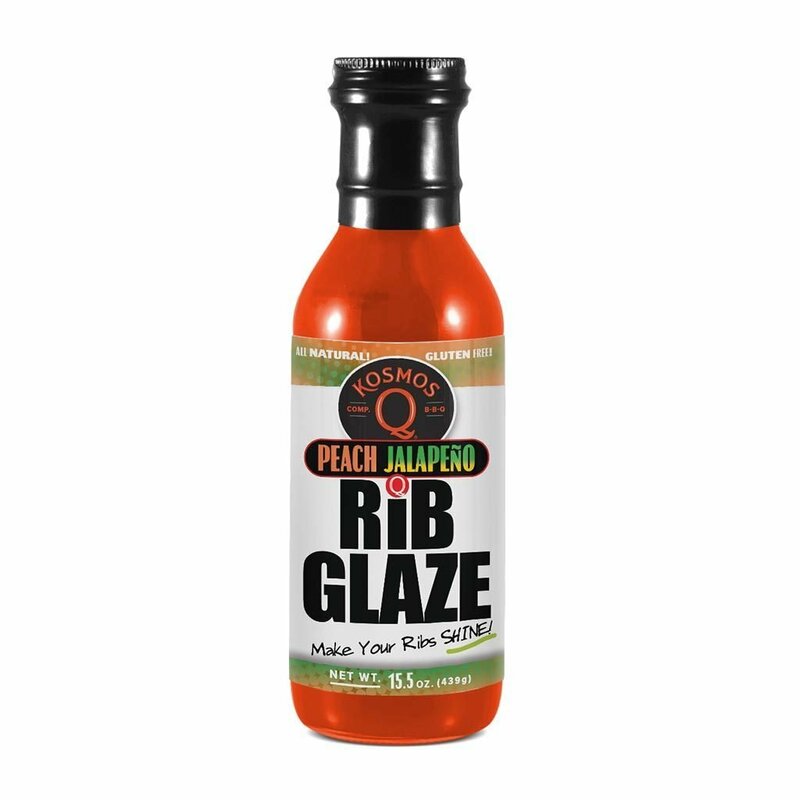 Our Peach Jalapeno Rib Glaze is made with all natural ingredients and will knock your socks off when it come to creating the perfect rib. INGREDIENTS: Cane sugar, Water, Peach Puree Concentrate, Jalapeno Mash (jalapeno peppers, salt), Vinegar, Modified Food Starch, Citric Acid, Spices, Xanthan Gum.